We’ve all experienced it: you open up your laptop or phone and you’re greeted with a notification informing you that a new update is available, or better yet, that a new update has just been installed. While these can sometimes feel like a distraction, this is an amazing capability that most of us now take for granted. Gone are the days of downloading software packages, figuring out when to install them, and crossing your fingers while they install. When it comes to managing firmware on enterprise networks however, IT teams still spend lots of time keeping the network up to date—TFTP servers, firmware downloads, MD5 hash checks, install scripts, maintenance windows…sound familiar? Wouldn’t it be nice if your network maintained itself reliably and securely? Enter Meraki: automatic firmware updates are just one of the many powerful and unique features you get with our rapidly growing ecosystem of products. Those of you familiar with our products know this well, and hopefully have to think about firmware less and less. Our cloud-based architecture means we can handle the complete process; all you need to do is provide a desired upgrade window, and we’ll handle the rest, from initiating the upgrades to verifying they completed successfully. The next morning you wake up to new features and, in some cases, a network that is even more secure. At the end of the day, our mission at Meraki is to reduce the amount of time our customers spend managing and troubleshooting IT so they can focus on what’s most important. These options add flexibility for both a hands-off or more custom-tailored approach regardless of the size and number of networks a team manages. Before new firmware ever makes it to our customers, our engineering team expends a painstaking amount of effort scrutinizing each and every feature, both new and old, to ensure no issues or bugs get introduced. This happens in Meraki Labs, a state-of-the-art 5,500 square foot testing facility based in our San Francisco headquarters. Meraki Labs serves as our global quality assurance center for all new software releases. Take our MS switching products for example; over the past five years, Meraki’s MS family of enterprise switches has grown from just 4 to over 24 different models, supporting a wide range of enterprise features and accessories. Our quality assurance (QA) team works tirelessly to keep up with this tremendous growth, adding new tests daily and working with the broader engineering team as well as our beta customers to address any issues that are uncovered. That’s it! We will always notify you prior to your network receiving a new upgrade, and we invite you to provide any and all feedback on your beta experience via the Make a Wish box, your Meraki contact, or by email at [email protected]. We look forward to hearing from you! If you don’t yet have Meraki products and you like the idea of Merakifying your next firmware upgrade, check out one of our webinars to learn more! 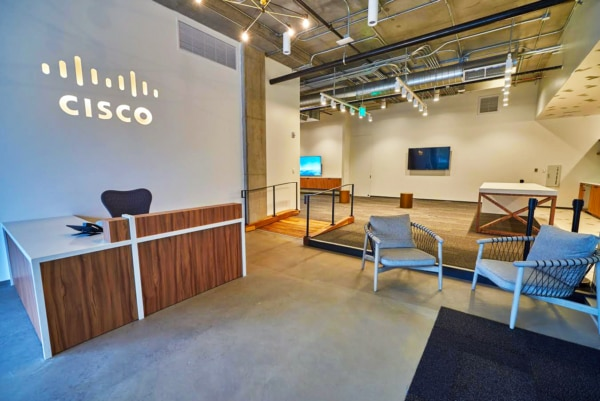 Cisco named a Major Player by IDC MarketScape!